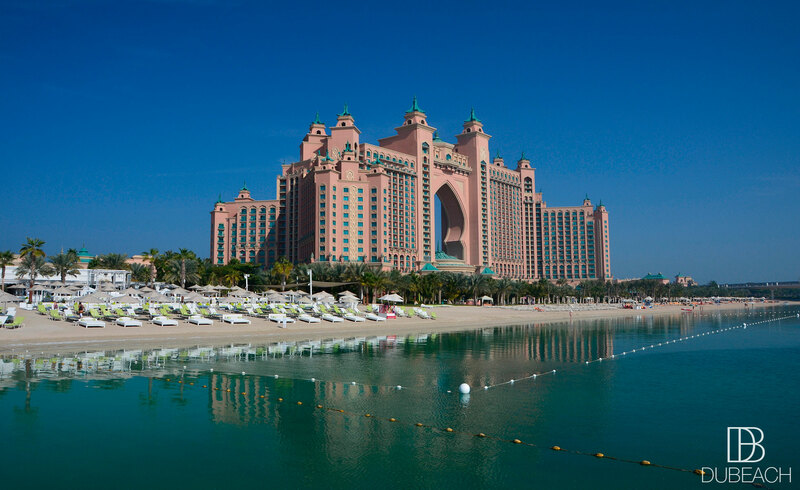 The Beach Club of Atlantis The Palm. 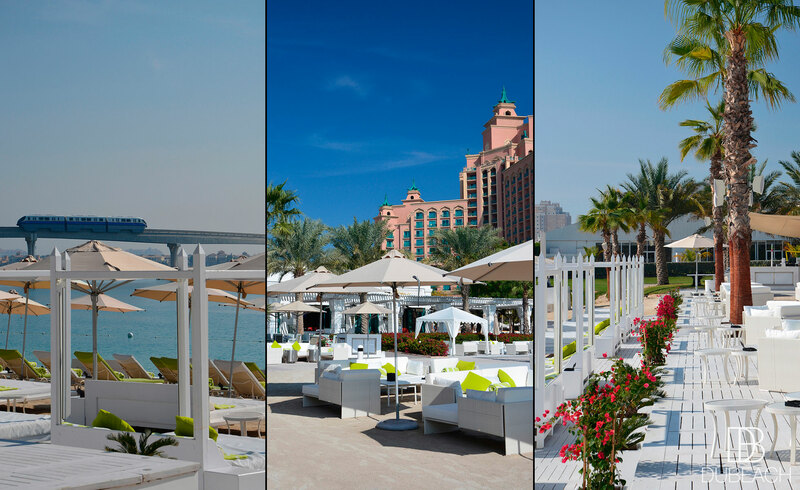 Glamorous and fashionable place for all beach lovers, Nasimi is the exclusive Beach Club of Atlantis The Palm. During the night, enjoy the festive ambience on the sand where international DJs like to perform. Loungers from AED 150 – AED 250 per person, minimum spends on food and beverages. 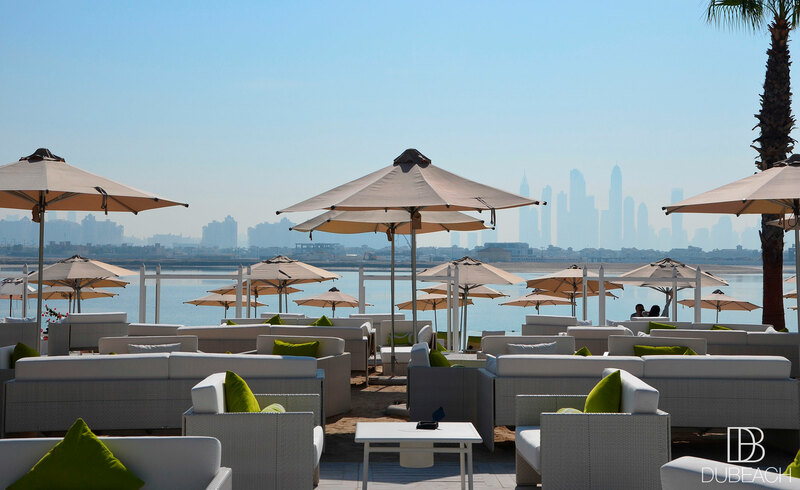 Enjoy the outdoor Patio Bar at Nasimi! Get two for the price of one deals on selected alcoholic beverages from Sunday to Thursday, between 5:00pm and 7:00pm. NASIMI BEACH introduces an afternoon dedicated to the ladies. For the girls who just wanna have fun. It’s girl time! 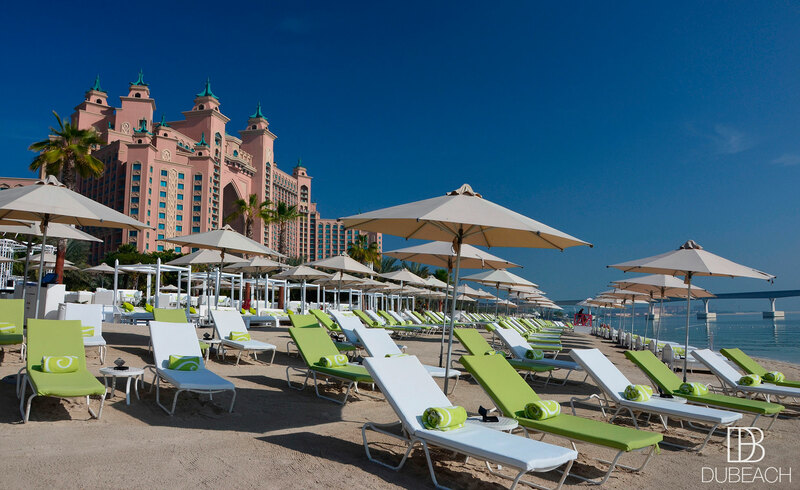 Ladies can enjoy free access every day to Nasimi Beach and relax on a Nasimi sun lounger. Sun loungers available on a first-come, first-served basis. Minimum spend for the sun lounger is AED 150 Sunday-Thursday and AED 250 Friday-Saturday. Minimum spend is redeemable against food and drink. Access to Zero Entry swimming pool is also extended most days, though based on availability. Please enquire in advance. In the restaurant, you can expect the unmissable Sushis, Makis and Sashimis, as well as a range of delicious grilled prawn dishes to indulge in. 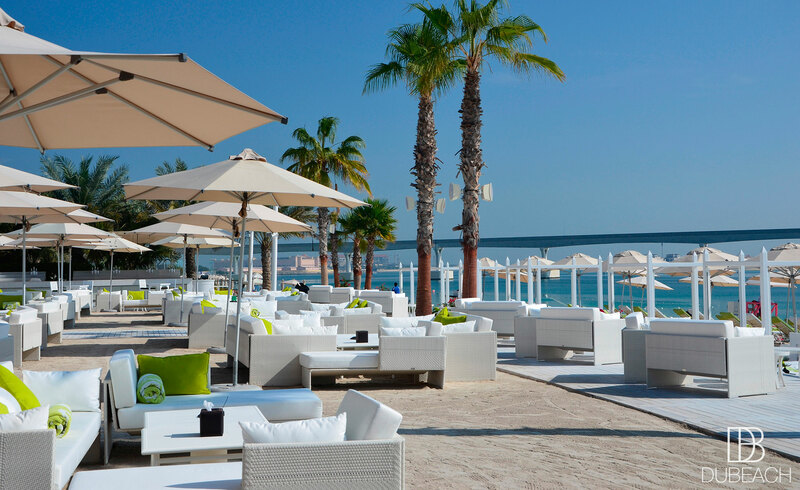 Nasimi Beach Lounge is an Adults only beach (age 21+). ID is required upon entry. Door policy applies, management reserves the right to refuse entry. Shorts, shirts and any footwear are allowed. UAE national dress is welcomed but not when there is live entertainment. No swim wear or towels allowed inside the restaurant and terrace.